After the national multibillion-dollar investment in health information technology (HIT) over the past decade, rural healthcare organizations are now exploring how electronic health record (EHR) data can deliver on its promise of improving patient care. In rural Appalachian Kentucky, the White House Clinics (WHCs) stand as an example of Federally Qualified Health Centers (FQHCs) making their EHR work for them by pairing it with a data analytics software program. 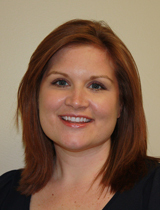 Stephanie Moore is CEO of WHCs’ 9 clinics and 255 employees. With 4 dedicated IT staff, she says extracting data is a process, especially when looking at quality measures. Sometimes it’s just as important to factor into the equation the patients that need to be excluded from that measure. Specifically, WHCs use their EHR to improve preventive screening and immunization rates. For example, with their new office-based intervention, the proactive office encounter, breast cancer screening rates increased by 40% and colorectal cancer screening rates increased by 46%. These results have even been published in academic journals. Though Moore acknowledges that EHR data extraction like this is an important administrative tool, allowing her to know exactly what’s happening with certain measures at any given moment, she believes it’s still human problem-solving that turns extracted data into something that makes a difference for WHCs’ patients. In order to link EHR information across the healthcare continuum, rural hospitals and clinics work on interoperability. 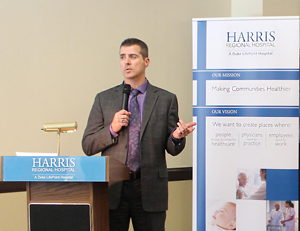 Moving from the rural ambulatory setting into the acute care world, Harris Regional Hospital (HRH), a rural hospital in western North Carolina, is also having success using EHR data analytics to improve patient care. In June 2018, HRH published Managing What Is Measured: A Rural Hospital’s Experience in Reducing Patient Harm in the Journal of Healthcare Quality. Using its EHR data for quality improvement projects, its study shares steps of a “Zero Harm” project that achieved an 82% change in number of harm events in the short interval of two years. Like Kentucky’s WHCs, HRH uses a commercial data analytics product to extract EHR data for multiple clinical and administrative uses. Steve Heatherly is the CEO of HRH and nearby Swain Community Hospital, a Critical Access Hospital (CAH), both acquired by Duke LifePoint Healthcare in 2014. He emphasizes that the prime focus of a quality project like this is not just data extraction but the “human focus on the efforts of care processes that in turn actually impact outcomes.” He says that a big part of their project included steps dedicated to review clinical documentation (standardized word choices to describe clinical information) and coding (assigning ICD-10 numerical codes to clinical information). Speaking as an administrator, there’s a lot of what I call ‘noise’ around data. “Speaking as an administrator, there’s a lot of what I call ‘noise’ around data,” Heatherly says. “While the clinical quality team is reviewing these events in real time, you’re also finding out where the noise in the data is located. Sometimes something gets coded as a harm event and is later demonstrated to be miscoding. In my view, making sure we had all of that parsed out, making sure we had a solid process in place so that we understood when something was coding/documentation noise versus something we must change in our clinical process was the biggest challenge. It’s something you can never take your eyes off. Heatherly says they have a robust local IT team of around 20 individuals, also shared with Swain, allowing them to do other process improvement projects based on data extraction and analysis, for example, emergency room patient throughput. Both Moore and Heatherly emphasize the key role of their HIT specialists when using data to improve patient care. 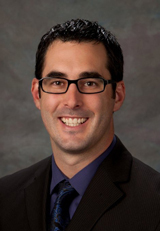 As an HIT educator, Dr. Ryan Sandefer, the College of St. Scholastica’s Department of Health Informatics and Information Management’s former chair and now the Assistant Vice President of Academic Affairs, says this partnership is why keeping a curriculum focused on future HIT needs is a priority for their organization. …with implementation and adoption behind us, we’re really just back at the starting line. Because of its involvement with one of the Regional Extension Centers (RECs), a now-completed program designed to assist providers with EHR adoption and meaningful use activities, Sandefer shares that his institution was able to have an implementation and policy “front-seat rural learning experience,” an experience that now helps them with curricula development to address the HIT workforce needs of these healthcare organizations. Sandefer points out that for graduates, “data savvy” skill sets are increasingly important so they can ask the right questions about technology adoption, ask questions that produce clean data, and even determine which questions can be answered through data. He says graduates seeking employment in rural – or any – healthcare organization must also be able to manage technology projects since organizations are shifting very quickly now: either replacing or enhancing technology or implementing system upgrades, largely due to payer requirements. This entry was posted in Features and tagged Appalachia, Critical Access Hospitals, Federally Qualified Health Centers, Health information technology, Health information technology workforce, Health screening, Health workforce education and training, Healthcare quality, Healthcare workforce, Hospitals, Kentucky, North Carolina, Population health, Technology for health and human services on September 19, 2018 by Kay Miller Temple.